On 24 September, Andrea Calori attendend a round table organized by The Hague Institute on ‘The Right to Food’, in partnership with the City of The Hague, as part of the Milan Expo 2015. The aim of this high-level event was to determine whether a concrete agenda can be developed for realizing the Right to Food in the context of international peace and justice, with a special focus on the role of cities. The dialogue, which was chaired by Dr Abi Williams, consisted of presentations from leading experts and discussion with more than 30 participants, with input from recorded interviews with 15 senior political leaders and policy makers from the Netherlands and abroad. Although the Millennium Development Goals have catalyzed the reduction of extreme poverty and hunger, globally, at least 795 million people are estimated to be undernourished and more than 90 million children under five years are still undernourished and underweight. This poses complex global humanitarian challenges, which in turn threaten political instability at the national and regional levels. Consequently, a lack of food accessibility, security and nutrition worldwide require an integrated response at the intersection of international peace, security and justice. To this end and in bringing The Hague Institute’s unique expertise and approach, the event adopts the three prisms of conflict prevention, rule of law, and global governance. Refugees, in particular, face major challenges in accessing food. Every day refugees are fleeing from conflicts in which starvation is being used as a method of warfare or where humanitarian aid does not reach them in time. Cities can help to mitigate and possibly even avert such challenges, for example by contributing to the prevention of conflicts relating to food insecurity in international networks of cities such as C40. Additionally, the City of The Hague can contribute to international peace and justice by promoting dialogue that shares knowledge on how its unique constellation of international courts and tribunals seeks to prevent, deter and bring justice to victims of relevant crimes such as the starvation of civilians as a method of warfare. 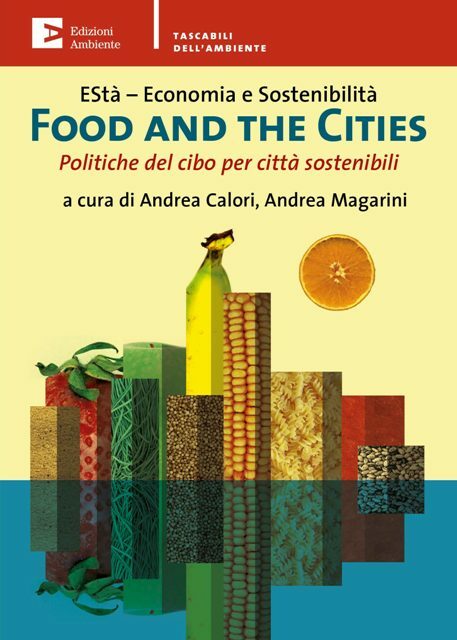 Moreover, by taking part in multi-stakeholder approaches to global governance and the Milan Urban Food Policy Pact, cities can contribute to the ambition expressed in the forthcoming post-2015 Sustainable Development Goal No. 2 “to end hunger, achieve food security and improve nutrition, and promote sustainable agriculture”. Given its expertise and the need to respond to complex challenges, The Hague Institute for Global Justice welcomed the invitation from the City of The Hague to co-organize today’s event. The City of The Hague, a close partner of The Hague Institute, is at the forefront of crucial initiatives to enhance international peace and justice. The Hague’s important ambition closely aligns with the Institute’s work at the intersection of peace, security and justice. The dialogue today adds value to the concerted efforts globally to reduce hunger, enhance food security, and provide adequate food for all. The topic is germane and urgent, preceding the Milan Urban Food Policy Pact, which will be one of the most important legacies of Expo 2015; the post-2015 Sustainable Development Goals that will be discussed next week in New York; and World Food Day, which will take place on 16th October. With rigorous analysis and outreach, The Hague Institute seeks to contribute to such initiatives on food accessibility and security.